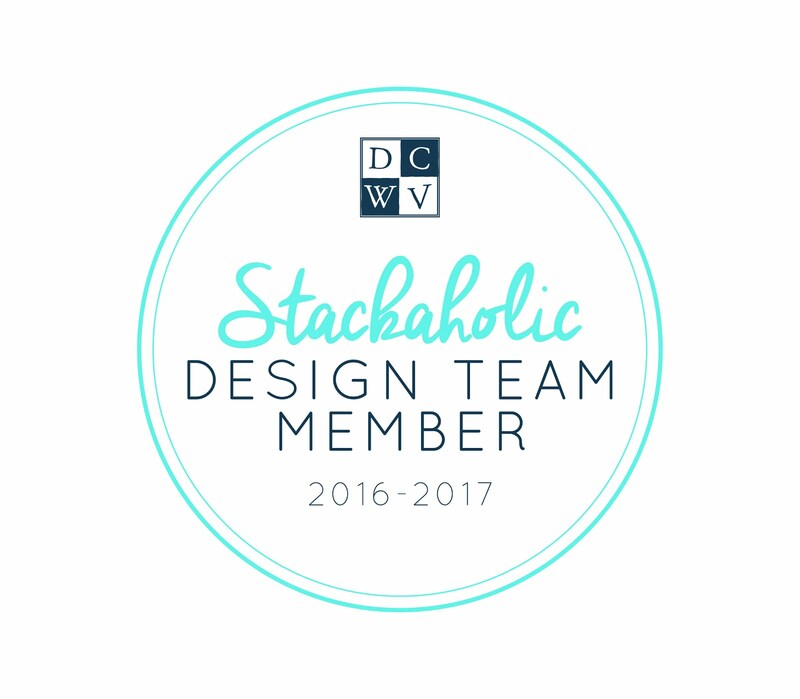 Hello all Monique, Misfit Crafter here to bring you a DCWV Design Team Project. I am so happy with how beautiful this centerpiece looks. I love how it turned out and how simple it was to do. Here is a quick Video Look ! Not only does it make 6 pumpkins, 5 are used in my centerpiece, but it also gives you 42 leaves! 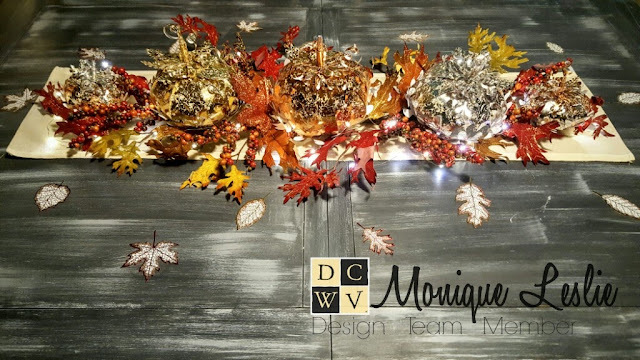 All I added was a Canvas Runner I got from the Dollar spot at Target, Two Leaf stems from Hobby Lobby and some lights that came with another DCWV stack. Two strings. 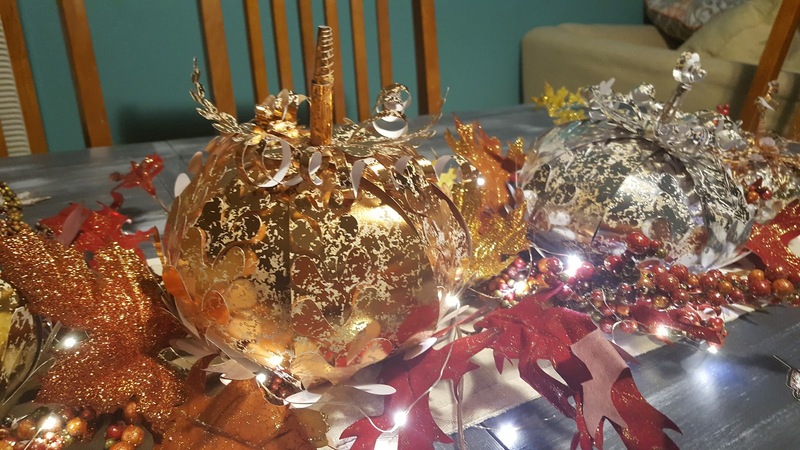 Here is a link to a Periscope I did that shows you how to assemble the pumpkins. Unfortunately there was a glitch that prevented me from downloading and editing the video so the only place you can watch it is on Periscope but no worries you can just skip to the part where I assemble the pumpkins.